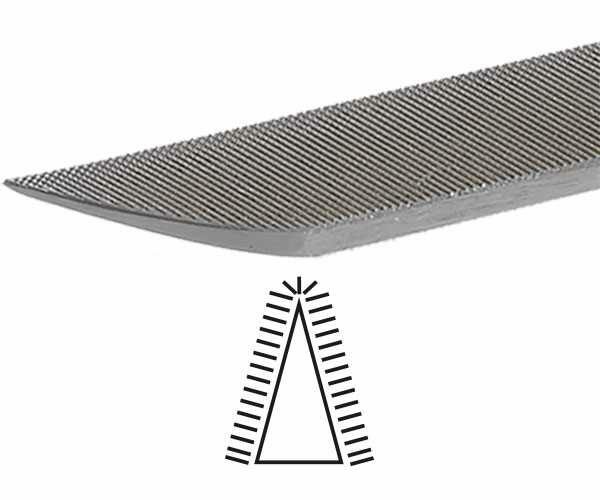 Knife shaped file with triangular section. Double Cut on both sides. Narrow edge with single cut. Use: For filing acute angles.